MONTANDON — Imagine a day when your kids aren’t tracking mud into your house on their shoes. And what if the kids had lockers to store their sports gear? Many homeowners are in need of a mud room. This is a secondary entryway intended as an area to remove and store shoes, coats, boots and wet clothing or sports gear, before entering the main house. T-Ross Brothers Construction is almost finished building lockers and storage shelves for a mud room at a home in Lewisburg. Each child will have their own area to hang coats and store their shoes and sports equipment. They will also have bench seating so they can sit down to put on their shoes. In the wood shop at T-Ross Brothers, John McGraw can turn sketches and drawings into beautiful pieces that will last for decades. 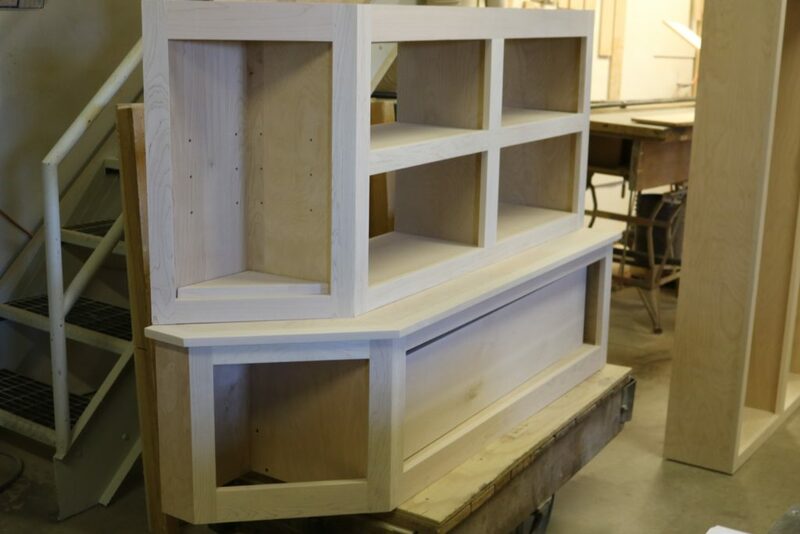 All of the work is done on site in the wood shop, before being transferred to the home. Here are some photos of the lockers and storage bins being created for this family’s mud room. The post T-Ross Wood Shop builds cabinetry for mud room appeared first on T-Ross Brothers Construction, Inc..